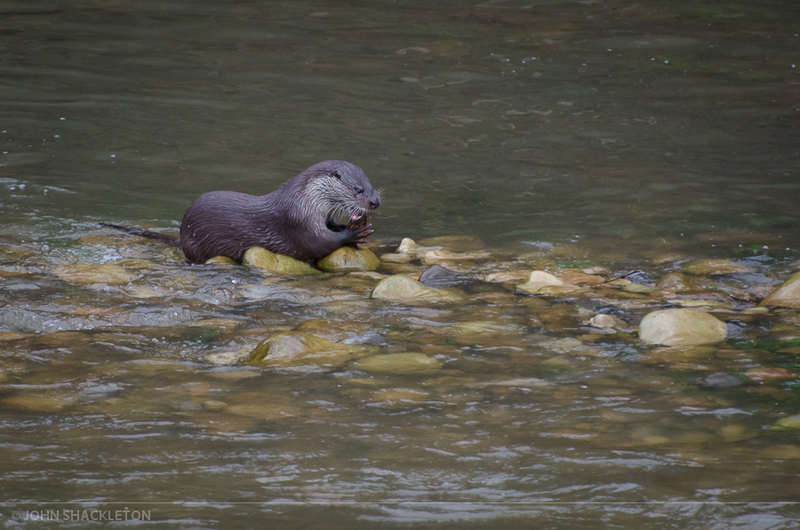 We’ve had a record breaking month watching the otters – and I make no apology for publishing another post about them. Each encounter is something special and worthy of recording. 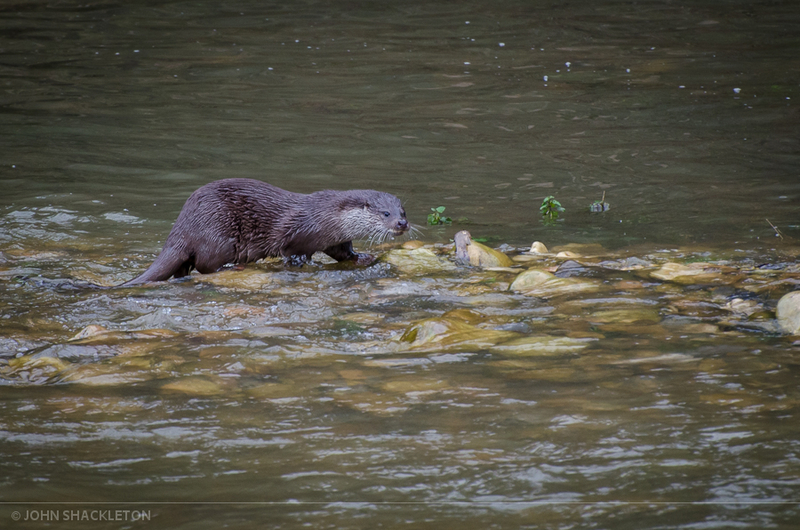 This individual spent 30 minutes fishing in the shallows, and caught an eel and two trout whilst we watched from the riverbank. Engrossed in hunting and eating, it didn’t pay much attention to us. We’ve worked hard lately, walking the riverbanks for many hours – and observing them undetected is the best kind of encounter. 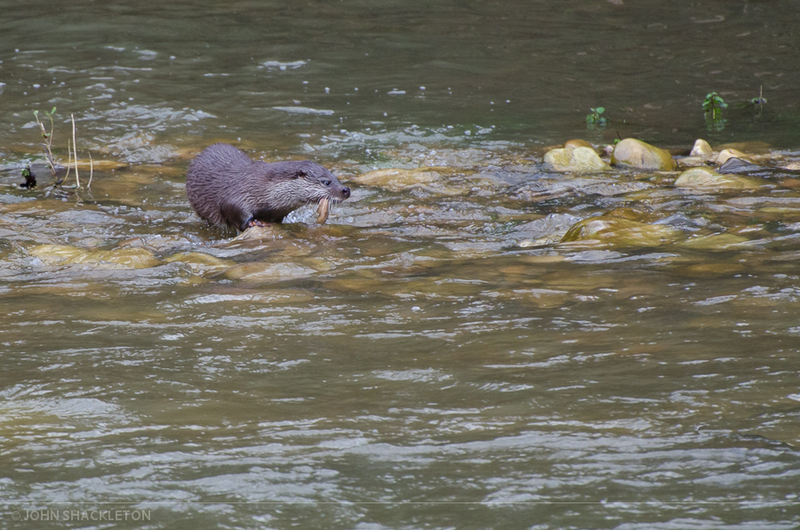 I live in Asturias and I have never seen otters here (I have seen some in Galician sea). I don’t know if you are English or American. I went to Shetland Islands four years ago and I liked a lot In spite of it rained a lot. You can see some of my pictures here: http://www.photo-b.com/jac (only two or three of puffins in Shetlands). Thanks for this document and sorry for my bad English. Thanks for you kind comment. We are travelling to Galicia soon. 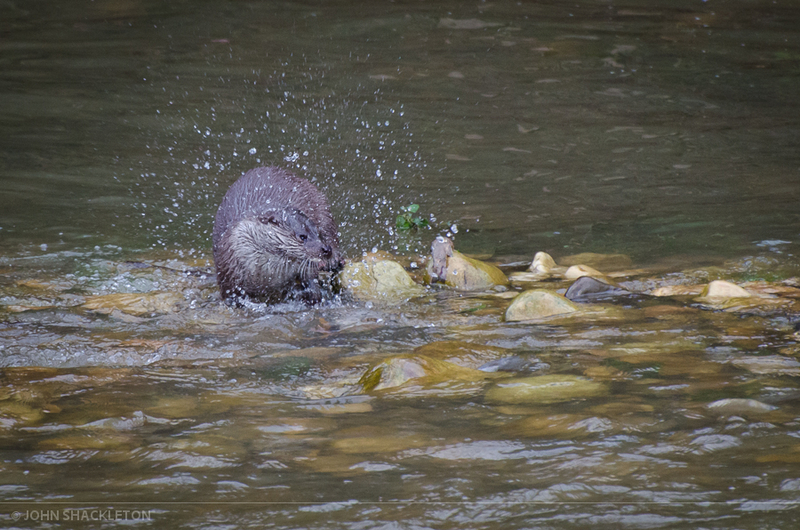 I will keep a look out for the otters. Shetland seems to be a special place, I hoped to go soon too. These websites may be of interest for wildlife in Shetland.